PACE are constantly evaluating our technology portfolio to ensure we can offer the best solutions to the market. Of course we have long standing strong relationships, but if you believe your solutions could complement our portfolio please reach out to us. 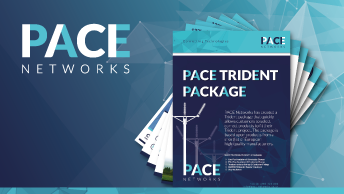 PACE Networks has created a Trident package that quickly allows customers to select correct products to fit their Trident project. The package is based upon products from a short-list of European high-quality manufacturers. This is an exciting opportunity to be part of a young and energetic company, close to Cirencester and Cheltenham. This is an exciting opportunity to be part of a young and energetic company, close to Cirencester and Cheltenham. We are looking for a motivated and enthusiastic apprentice to become our in-house IT expert and support the small team with their technology and operational duties. We believe in providing the right tools for our team, and our IT systems are a vital component. Many of our existing systems are cloud based and part of the opportunity for the IT & Systems Apprentice is to act as the “glue” in effectively utilising those systems for a growing PACE Team. 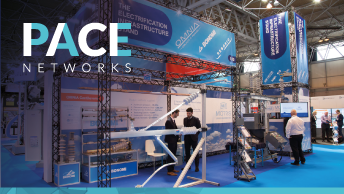 PACE Networks is a specialist technical marketing company that partners with leading European manufacturers in the Power Transmission & Distribution, and Rail Electrification markets. Thanks to these strong partnerships and a high level of engagement with our customers, PACE has grown its business by a factor of 5 since 2012. With 6 major partners and 2 growing markets, we look set to continue our growth. PACE Networks formed in January 2012 and the new role will take us to 12 members of the team. At PACE we challenge ourselves and enjoy that challenge. Our growth has been built on a strong but enjoyable work ethic and the focus is on getting the job done together as a team. The IT & Systems Apprentice will carry out a range of internal activities from working with IT systems, supporting the online marketing team, managing stock information and helping with UK exhibitions. This role offers the right candidate a fantastic opportunity to significantly progress their career in a range of areas and become an integrated part of an experienced and dynamic team. This is a 12-month contract, alongside 1 day a week studies for a Level 3 Diploma in IT User Skills, with the aim to employ the candidate at the end of the apprenticeship. Are you the person for the role? To apply please call Gavin Smith to discuss the role on 01285 323 525. Copyright © PACE Networks 2019. All information correct at time of going live. Webstie Created by Motion Marketing.